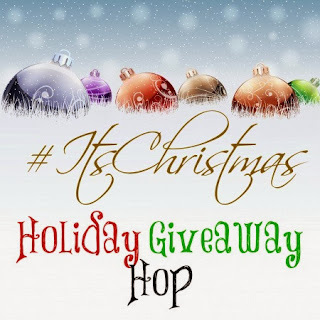 Welcome to the It’s Christmas Holiday Giveaway Hop! Getting Festive is always something I love to do. I love decorating as much as I can for each major holiday. This year however Christmas is taking a back burner. In lieu of moving has really put a damper on things. So I have no decorated my current home for the holiday. I'm waiting until we move to decorate a bit (if we get in the house in time). But getting a new doormat was important for me. It's an easy, inexpensive way to show your spirit, but still easy enough to move! Everything Doormats has made this easy for me this year. We received the Candy Hat Snowman mat and the Scrollwork Outdoor Tray to go along with it. The mat is separate from the tray. I really like this idea. Dirt and wetness can go through the mat and then leak out through the tray, also it's easier to hose dirt off the tray and keep your mats cleaner for use over and over again. But the tray just adds so much more! In my current home, we don't have a covered porch, but a covered porch would keep it even nicer. I think the tray really makes the decoration of this. It adds just so much more to the mat. Plus I like that it will keep the mat in nicer condition. This is great for mats that are for year round and not just Holiday ones. Everything Doormats mats are non slip rubber backed and they're created with a process that makes them stain and fade resistant. The mats are great for indoor OR outdoor use and they also make trays for indoors as well. Mats are made with 100% recycled rubber too which makes them more eco friendly. Check out some of their other gorgeous mats. Since I already have a tray, I'm thinking about buying a mat for each Holiday to spruce up the front of my house. At $19-$20 each it makes them really affordable and a great, inexpensive way to spruce up the look of your house. I would choose the Winter Recycled Rubber Snowflake Winter Crystals! I love it! I like Grandkids Wreath Funny Sayings Indoor – Outdoor Floor Mat. I like the Coco Coir Traditional "Welcome" Mat - Coir Entrance Doormat. I like the Naturelles™ Vintage Floral_Peony Faux Coir Rubber Backed Door. The summer shells mat is adorable! I would want the Rose Garden Cardinal Mat. I like the Poppy garden mat. I really like this one. It's cute and festive. Thanks! I would definitely get the "You Live Here? Funny Entry Doormat". I think it's absolutely hilarious and suits my personality perfectly. Thank you. I would choose the Masterpiece Mat Stone Garden. I think it is beautiful. I would probably choose the Love Grows MatMates™. We finalized our adoption this year so that seems appropriate. Any of the antifatigue mats would work for me! I like the CleanScrape Mat Welcome Iron Coffee. I like the summer sea shells. I might choose the "Clean Scrape Deluxe Gray Weave Outdoor Doormat - Entry Mat"
I might get the Multi Colored Retro Leaf Cleanscrape Deluxe Outdoor Doormat. I would choose the Winter Pine Welcome Indoor or Outdoor Doormat. I might get the Naturelles Medallions Faux Coir Rubber Backed Door Mat. I like the reason for the season mat! I would have to choose one of the camoflauge ones. Gonna be a hard choice though because their are so many lol. I'd get the Penguin & Pal MatMates, I collect penguins, this is perfect! I might choose the Mat that says Home is Where the Dog Is. Very cute mats there, by the way. I like the Summer Finch MatMates™ - Decorative Animal Stain Resistant Doormat. Thanks. I like the Red Snowman Winter. so cute! I like the Winter Pine Welcome mat! I think I would get the CleanScrape Mat Welcome Iron Graphite. I like the Masterpiece Mat Decorative Tiles Outdoor Tiretuff Doormat - Entry Mat [60-730-1855-02200036]. I would get an NFL doormat, The Buffalo Bills. For my dad. The Summer Shells Bare Feet Welcome is my favorite. I would definitely get the Wipe Your Paws Dog TireTuff Masterpiece Doormat - Entry Mat. I've been wanting one just like it! I like the Welcome to the Nuthouse Coco Outdoor Doormat to go with that tray. I could use the Tire Tuff Cleanscrape Mat. Definitely a Brewers mat- my boyfriend loves baseball and is a devoted fan! That'd make a great addition to our new place. I like the Masterpiece Mat Welcome Stones. I would LOVE to have the Geo Strip Olive MatMates! I'm leaning towards the Seasonal Angels! 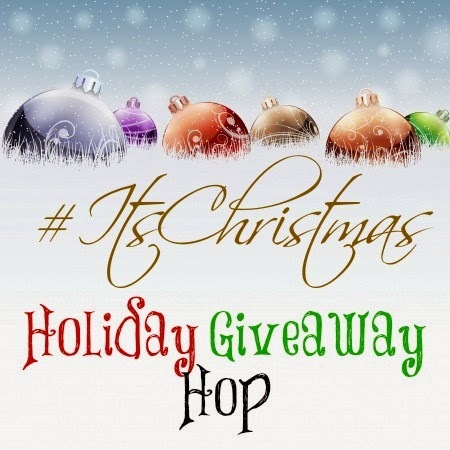 Thanks for participating in the Holiday Hop - I'm really having a great time discovering some new blogs. Merry Christmas to you! I would love the Story Begins Inspirational Sayings Non-Slip MatMates™ Floor Mat!!! Very cool concept and love the mats!!! I like the The Halloween Owl Fall Seasonal Fade Resistant Floor Mat. There Be Dragons Funny Dog Floor Mat - Humorous Pet Doormat [M600HC]. 7 pomeranians. You brush their teeth! I would choose a fairly plain mat- something generic for year-round use. Eeek! They have NFL; I;d pick my team. Go Patriots! I love the CoCo Coir Traditional "Welcome" Mat with the Traditional Coir rubber outdoor mat tray. I would love the "Home is Where Your Dog Is" mat! I would pick the Hollyberry Cardinal MatMates; that's really pretty. I love the Peppermint Candy Canes welcome mat. It would go great with the candy cane decorations in my front yard. I would choose the World's Best Weiner Funny Dog Doormat – Humorous Floor Mat for my mother-in-law. She has two dachshunds and would absolutely love it. I like the Coco Coir Traditional "Welcome" Mat Entrance Doormat the best. I like the coir traditional welcome mat. I like their Hummingbird Nest Spring Flowers Seasonal Floor Mat. I like the "Do You Live Here" funny entry mat! I want the "Masterpiece Mat Home Slate"
I like the Story Begins Inspirational Sayings Non-Slip MatMates™ Floor Mat. I like the hot fresh coffee doormat. I like the Woodland Greetings MatMates™ - Decorative Non-Slip Floor/Doormat. I like the CleanScrape Deluxe Mat Leaves in Motion. I like the Believe Mat Mate! I love the humorous ones. I think I would get the Hi. I'm Mat Doormat. I like the "Birds on a Wire" welcome home mat. I like the Birds on a Wire mat! Very cute! I would choose Masterpiece Mat November Bloom. The 49ers vinyl door mat. I would choose a Baltimore Ravens' mat. I would probably choose the Coco Coir Traditional "Welcome" Mat. I like the whooo did it owl seasonal fatmates welcome doormat. I'd choose the Pittsburgh Penguins one. I like the Gone Fishing door mat. I like the Hi! I'm Mat doormat. I would choose the Naturelles™ Nepal Faux Coir Rubber Backed Floor Mat. We would probably choose the Ravens mat. I'd get the Funny Garfield Protected by Attack Cat Indoor/Outdoor Floor Mat. I might choose the paprika matmate style. Love My Cat MatMates™ Recycled Rubber Pet Doormat 16151DMW. I like the Tucson woven rug. So many cute ones. I might get the Naturelles™ Summer Leaves Faux Coir Rubber Backed Welcome Mat. I like the Home Wood Masterpiece doormat. I like the Who Is It Funny Sayings Owl Indoor/Outdoor Doormat [M215HC]. I would choose the Christmas Cat MatMates Indoor or Outdoor Winter Pet Doormat. I could use a good anti-fatigue mat in my kitchen. I have a hip and knee pain after standing for any length of time (thanks to my work in a pharmacy for years). I would like to get this mat-Red Snowman Winter Seasonal MatMates™ Non-Slip Welcome Floor Mat [18767MW]. I would like to win the Masterpiece Mat Decorative Tiles Outdoor Tiretuff Doormat - Entry Mat. I would choose the Humorous Garfield Royalty Funny Olefin Indoor/Outdoor Doormat. i would love to have a detroit redwings doormat...go wings!! I would probably choose the Funny Garfield Protected by Attack Cat Indoor/Outdoor Floor Mat. I love the Home of the World's best pug doormat. I would love to get a house divided NFL rug! Thanks so much for the chances to win this. I would get the Rainforest MatMates™ [19912D]. I love the graphic print and green color. I'd get the Live Your Dreams mat. I would probably choose one of the college logo doormats. My pick would be the Bundle Up Penguin MatMates™ - Winter Seasonal Rubber Doormat [14706MW]. I would choose the Cabin Blue Moon Elk MatMates™ Floor Mat - Decorative Doormat! A Monogram Coir Doormat with a C.
The Buffalo Bills one that says Man Cave! I love the God's Country Blue Moon Moose one. Thanks for having this contest. I might choose the University of Alabama door mat. Naturelles™ Medallions Faux Coir Rubber Backed Door Mat.